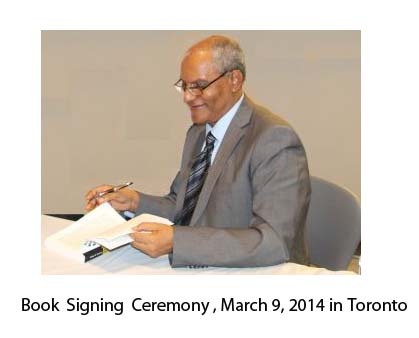 (OPride) ­­– Oromo scholar, professor Abbas Haji Gnamo has a new book out. OPride’s Sinke Wesho talked to Prof. Abbas about his book, research, community service, academic career and much more. Professor Gnamo, who teaches Third World Politics, African government and Politics and the politics of Development at the University of Toronto/Ryerson, is best known for his groundbreaking study on the Arsi Oromo political and military resistance against Abyssinian king Menelik II. His new book on the same subject, “Conquest and Resistance in the Ethiopian Empire, 1880 -1974: The Case of the Arsi Oromo”, is the first wide-ranging scholarly work on the longest and one of the most bloody chapter in Ethiopian history of conquest and colonization. OPride: By way of introduction, tell us a little bit about yourself. Gnamo: My name is Abbas Haji Gnamo; I was born in Hexosa district in Arsi zone, Oromia Regional State in Ethiopia. I attended Etaya Elementary and Junior Secondary School and Assela Comprehensive Secondary School. 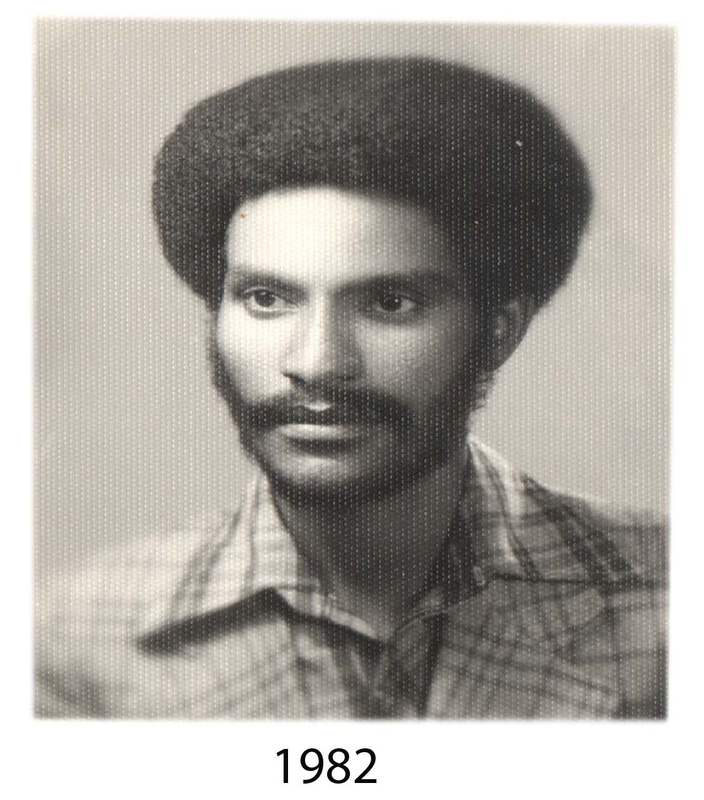 I then studied at Addis Ababa University where I earned BA in History in 1982. I did my graduate and post-graduate studies at Paris University I (Pantheon-Sorbonne) where I obtained MA and Ph.D. in Anthropology as well as DEA (M.Phil.) in Political Science/African Studies. I came to Toronto, Canada in the late 1990s, where I have lived and taught ever since. OPride: What courses do you teach; do you have an area of specialization? What motivated you to pursue this discipline? How long did it take you to become a professor? Gnamo: One can imagine the long journey I have taken and what it means to be the first to read Amharic in the village and the first to graduate from high school and earn a college degree. None, including me, imagined to go this far. In fact, I must say that I had the good fortunes of receiving quality education and earning many degrees. My motivation comes from my peoples’ aspirations and lack of access to formal education and limitations imposed on us by the system. The moment I understood education is the only way out of poverty for our people and myself, I pursued it without hesitation and I seized the opportunities I got. In the process, I became multilingual to be able to publish and teach both in English and French with equal facility. I teach all level courses in political science, anthropology and history, disciplines in which I received a full academic training over a decade (1979-1982 & 1985-1992). Also, my current book and my other publications reflect my multidisciplinary training and approaches. I won scholarships and prestigious and competitive research grants for my projects and I have taught for some reputed universities including Ryerson, York University and the University of Toronto, the top university in Canada. I teach mainly in Political Science field (World Politics, Third World Politics, African Politics, Comparative Politics, Politics of Development, Peace and Conflict & human rights). I must also add that I worked at the Institute of Ethiopian Studies, Addis Ababa University, for some years In brief, I have been in the higher learning institutions and in academia for over 30 years as a student, teacher and researcher. OPride: This is an extraordinary sacrifice and achievement; you have many who aspire to be like you, have you been helping Oromo students in their educational pursuits? Gnamo: We are raised to be responsible, to help one another and not to be self-centered. It is in our culture and that is how the Oromo raise their children. 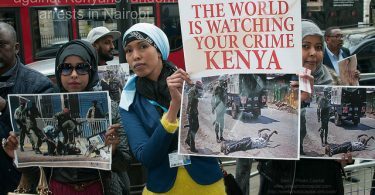 That is what we have seen and learned from our parents, Oromo elders and community leaders who have dedicated their entire lives helping those in need, resolving conflicts in the community and preventing unnecessary exposure to the injustices of the system — all without expecting anything in return. They kept their social cohesion and united the enemy forces as one man. That is the kind of solidarity that withstood the test of including challenges of brutal occupation and helped alleviate the pain and suffering that it could have caused. That is how our people survived as a nation and preserved our culture amid restrictions in the very unforgiving and cruel system that occupied our people for long time. Those are the traditions that we must follow. Those of us who are fortunate to have access to higher education and access to resources have the duty to give back and help our communities who have given us so much to get further. Their struggle and endurance cannot be compared to the easy and comfortable life we live today. I decided to give back to the community from the time when I was a teenager. I actively participated in adult literacy campaign called Chilalo Adult Literacy Campaign supported by UNESCO. I was recruited at the age of 16, from grade 8, along 19 other people from Hexosa district to teach adults. I was the youngest of all and we took a three week training how to teach adults. I taught in four different villages up to four hours every week for more than four years, all during the weekends, which enabled hundreds of adults to read and write. I received an award and certificate form the United Nations Educational, Scientific and Cultural Organization (UNESCO) for this effort. Also, I was flattered to hear that I set high standards in my primary and junior secondary high school of Etaya where I received many awards, and served a role model in that school which induced many families to send their children to school. As high school student, I was among those in the forefront in the struggle against corrupt officials and for justice of our time: the land to tillers, a topic on which I wrote extensively in later periods. We campaigned against the Naftagna landlords and merchant capitalists who acquired the land through illicit means in Hexosa district and evicted landless peasants or small land owners. We (students where I was one of the leaders) forced them out in 1974 well before the Land Proclamation of 1975. As instructor, I have helped numerous higher education students of all backgrounds to achieve their career goals. I frequently write reference letters for students applying to graduate programs, law school, internships and job applications. I have advised and mentored many students as well. I attend workshops and community events to address young people and aspiring students to talk about education. It is certain that you cannot succeed in anything without a helping hand from someone (family, friends, the community, etc.) at some point. I am available to help anyone as much as I can. More importantly, I want to help preserve the history of our people and ensure that the voices of our fathers and mothers are not left silent forever. If we can be of some help to pass accurate history of our people to the younger generation, we have done our part. OPride: Have you ever collaborated with other Oromo scholars including professors Hamdessa Tuso, Mohammed Hassan and et al, to assist the younger generations attain higher level of education? Gnamo: Professors Hamdesa Tuso and Mohammed Hassen are the leading Oromo scholars, who have played a tremendous role in advancing Oromo scholarship and studies and in communicating Oromo issues on a global stage and international level over many decades. They have put their energy and ability to the service of our community. In addition to their publications, they created the Oromo Studies Association, organized the Oromo community and reached out and helped many young scholars. I personally benefited from their friendship and support. I am relatively new to North America as I lived in Europe for more than 15 years. We all share similar aspirations for our people and seek ways of working towards that goal. Each of us try to do the best we can, each in his way, to help and inspire young people to succeed and achieve their goals. Giving back to the community is the burden of being educated. At the same time, people live in different places and have different set of priorities and research agenda, which may not facilitate the coordination of their activities. Gnamo: This book is the most comprehensive and holistic book on Oromo history, culture and socio-political condition of pre-and-post colonial era. It is based on decades of research including extensive fieldwork in Arsi-Bale regions of Oromia. It examines the cultural heritage, history and identity of the Oromo people as well as continuity and change in their sociopolitical institutions, their historical and political experience in the Ethiopian empire including conquest and resistance, political administration and political economy over a century. The book combines the disciplines of social sciences such as anthropology, history and political science. Thus, it is likely to answer many questions about the Oromo people, social organization, and political culture and history both in historical and contemporary settings. It is designed as a scholarly book to be used in colleges and universities. At the same time, it is written in accessible way to the general public and readers, Oromo and no-Oromos alike. I just wanted to share my experiences in teaching and research over many years with people who are interested in Oromo history, culture and political experience in the Ethiopian imperial polity and the origins of a rapidly growing Oromo nationalism and identity politics in Ethiopia. It has to be noted that although the case study is the Arsi Oromo, the largest single branch of the Oromo nation, a large body of the data is transposable to the whole Oromo society. I hope it will make a contribution to the Oromo studies and Ethiopian history. OPride: why did you choose the Arsi Oromo as a case study? Gnamo: When I did my research in the early 1980s, the obvious place to start was my home province where I was born, have friends and relatives everywhere. I would say that was my comfort zone where I am familiar with the geography, the people and culture. I was 24 years old then and I never traveled elsewhere other than Arsi region and some parts of Shoa. Moreover, I did not have any resource to travel and conduct in other Oromo regions. In Arsi region, I found a goldmine for historical and ethnographic information for my research project to be able to present a coherent original essay. 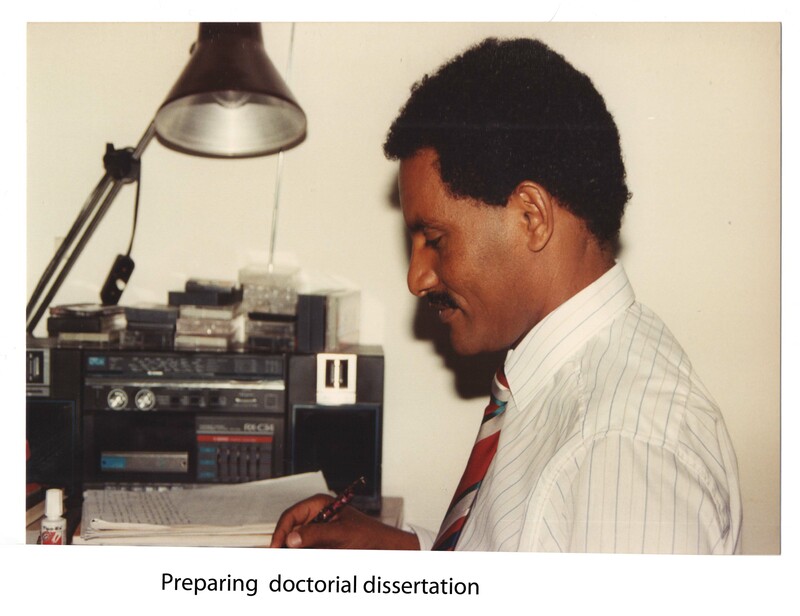 After this successful experience and a very positive feedback from my teachers and the public, I was encouraged to conduct further research in Arsi Oromo country (Bale-Didea) or Arsi and Bale regions for my graduate degrees. Again my familiarity with this vas cultural area helped me to do a successful fieldwork to my Ph.D. dissertation. In the meantime, I kept reading and working on the other Oromo regions by reading all available sources and literature for comparative analysis. Finally, it is to be noted that the Oromo country is so big no researcher was able to conduct a thorough research among all Oromo people and zones. OPride: Is this your first book? 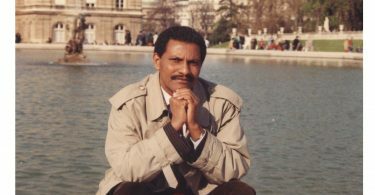 Gnamo:No, I wrote my first book in French based on my dissertation in Political Science (L’Etat et les crises d’intégration nationale en Ethiopie contemporaine (The State and the Crisis of National Integration in Contemporary Ethiopia), Université de Bordeaux 1, Talence, France. 1993). I have also written and published many original articles and chapters in books a selection of which is accessed at http://www.ryerson.ca/politics/facultyandstaff/bio_AbbasGnamo.htm. Additionally, most of my publications in French are inaccessible to my Oromo compatriots. Certainly, this is the most significant book I wrote in English. I hope to write some more given that I still possess a vast data on a host of issues. OPride: How long did it take you to complete this book? Gnamo:It is based on extensive research undertaken over two decades and presented in the framework of my different dissertations including a doctoral thesis submitted to Paris University I. It was recommended immediately as the most original work to be published in French language. However, I thought publishing in French where the first target readers cannot access does not serve a great purpose. The option was either to translate it to English or writing it directly in English from scratch based on the same data and material. I thought it is practical to write it directly in English which meant a lot of work and time. I had to read more sources and integrate new theoretical concepts and more empirical data. This necessitated a substantial amount of time to finalize the book given that I had other research and teaching commitments. It was completed two years ago but the review process and the preparation of the final text took more one and half years. OPride: What motivated you to write this book? Gnamo: I was a history major at Addis Ababa University and we were expected to produce a senior essay in partial fulfillment of the BA degree. I decided to make the Arsi Oromo as the primary object of this study. I already heard there was a big historical event that remained unreported; this was a widely shared collective memory of the Aanole and Azule atrocities during the last phase of Menelik’s war of conquest and Oromo heroic resistance. I had reliable and rich data from oral traditions and documented Ethiopian sources on Menelik’s war against the Oromo. I crosschecked rich oral data with the available sources including the royal chronicle although it ignored or overlooked some events. I owe a great debt to the Oromo elders who taught me about our history and culture. I collected original data thanks to their collaboration and I was welcomed and felt at home everywhere I went. I thanked them in my dissertations and this book and as I acknowledge the contributions of many other friends and scholars, Oromo and non-Oromo alike. 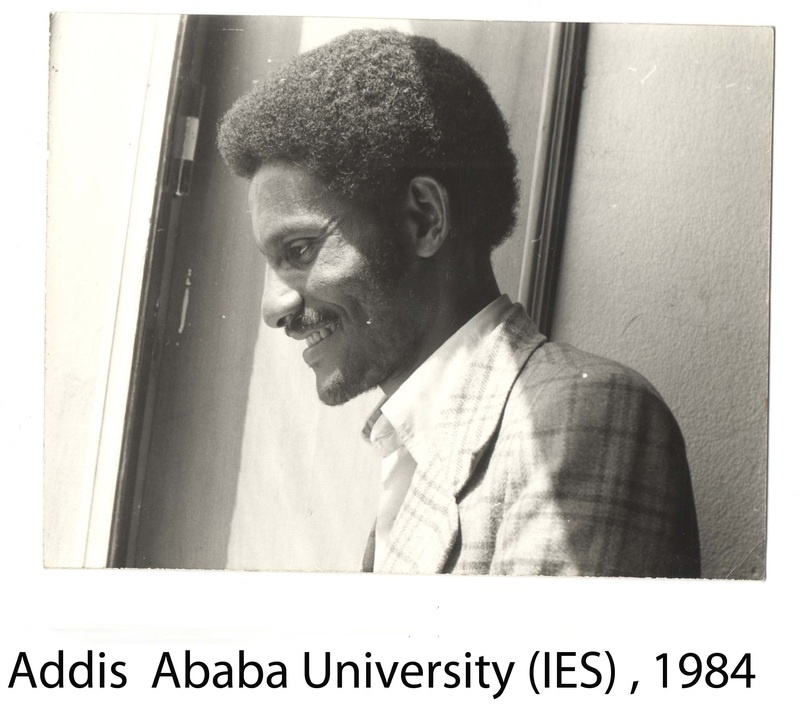 My fieldwork led to one of the most original essays to be presented to Addis Ababa University in 1982 and widely used to this date by many researchers and students. The questions I asked was: how and why it took so long for Menelik to defeat the Arsi? What were the punishments for putting up this stiff resistance and for humiliating Menelik and his army in rounds of battles? I had to dig deep to get the answer, which I widely published. As a historian–anthropologist, I also wanted to understand how Oromo were organized politically, socially and economically before the imperial conquest and their conversion to monotheist religions. How did they craft a republican and democratic political system known as the Gadaa system? What happened to these representative institutions after their conquest and forced incorporation into the Ethiopian empire? More importantly, I wanted to analyze the process of conquest and the political economy and administration of the Ethiopian empire in order to shed light on the origins of Oromo grievances narratives, uprising and their rapidly growing nationalism. OPride: The book chronicles events from as far back as 1880s; tell us more about your sources. Gnamo: I examined all the available sources in Ethiopian languages, foreign languages (including French and Italian) published and unpublished academic sources, theoretical works, and above all, oral data collected over a long period of time in Arsi-Bale regions from Amhara and Oromo informants. I went to all Arsi-Bale province and all major districts of this vast country. So, I have a deeper understanding of the historical question, culture and social organization of the people under study and the issues under discussions. I have defended all my works at all levels (undergraduate and graduate Studies) and published some works in scientific journals. I have taught for about two decades. The book is well documented and the bibliography is extensive as well. OPride: Some Ethiopians claim Aannolee and subsequent aggression into Oromo territories as a ‘holy war’ meant to unite and strengthen the great empire, while others dismiss the occurrence of such events. What evidence do you have that they don’t?